This "extraordinary film" (Leonard Maltin) stars Kevin Costner as a lone Union Army soldier whose station at a desolate outpost puts him in the path of the impending collision between Native Americans and the ever-encroaching white man. At once a "sweeping epic" (Newsweek) and "a simple story magnificently told" (Roger Ebert), Dances With Wolves is a stupendous film to stand for the ages. Won for Best Picture; Best Director; Best Screenplay; Best Cinematography; Best Film Editing; Best Sound; Best Score-John Barry. Nominated for Best Actor-Kevin Coster; Best Supporting Actor-Graham Greene; Best Supporting Actress-Mary McDonnell; Best Art Direction; Best Costume Design. One of the biggest surprise hits in movie history, 1990’s Dances With Wolves earned lots of money and snagged a boatload of Oscars, including one for Best Picture. Personally, I thought the movie had its moments but ultimately seemed too insufferably self-righteous and condescending to function effectively as a whole. If you’re interested to hear more of my thoughts about the original 181-minute version of the film, click here to examine my review of it. A 1994 laserdisc provided a much longer “director’s cut” of the movie, and it finally hits DVD with this new release. My comments here will address my impressions of this 236-minute edition. Much of the additional material embellishes relationships already in the theatrical cut. We see some things depicted more literally, such as the departure of the soldiers from Fort Sedgewick. We observe additional images of the Sioux homestead before Dunbar meets them. Other sequences broaden relationships such as the one between Fist and Dunbar; the longer version shows their romance in greater detail. Nothing revelatory happens here, but various elements get a little more room to breathe. The essential question that relates to any “director’s cut” should be this: does the new material harm or benefit the film? In this case, it’s something of a toss-up. On one hand, I can’t genuinely claim that the extra footage hurts the film, as most of it blends quite nicely. Including this screening, I’ve seen Wolves at least five times since 1990. That’s not enough to know the flick front and back, but it seems sufficient to recognize most differences. For the most part, I found it tough to distinguish the additions. The new cut blended them so smoothly that they integrated quite naturally. It also helped that most offered extensions of existing scenes and subplots, so it wasn’t like many of them totally altered the prior film. While I can’t say that I felt the additions harmed Wolves, I also don’t necessarily believe they enhanced it. Probably the biggest change comes from the way the extra scenes alter the film’s viewpoint. The new material focuses the story less on Dunbar and the way that he experiences events. Previously, we knew as much about the events at Fort Sedgewick prior to Dunbar’s arrival as he did. 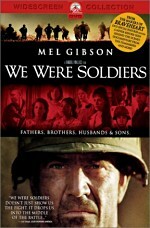 Now we find out much more about the soldiers who left and meet them before they do so. This scene didn’t bother me as much as I thought it would; a similar early glimpse of LV-426 in Aliens remains my least favorite of that film’s extensions. Still, I preferred the narrative when it stayed better concentrated on Dunbar’s perspective. The movie made more sense to me as we shared his journey, whereas now it seemed a little too broad, and it turned some hinted at events into more explicit ones as well. Nonetheless, these quibbles remained minor. That’s partly because I still don’t count myself as a fan of Dances With Wolves in either incarnation, but it’s also because much of the added material works nicely in its own right. If forced to choose, I’d pick the theatrical cut as the superior one, but the extended version certainly has its merits. DVD details footnote: the movie spreads to both sides of this DVD-18. The first side breaks after two hours and 13 minutes, so the disc doesn’t split the sides totally evenly. Oh, and the film’s original burned-in subtitles have been replaced with player-generated ones. 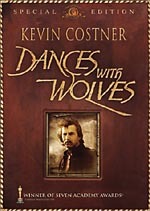 Dances With Wolves appears in an aspect ratio of approximately 2.35:1 on this double-sided, double-layered DVD; the image has been enhanced for 16X9 televisions. The prior disc already looked very good, but I thought the extended edition provided even stronger visuals. Sharpness remained solid, as the movie was consistently distinct and accurate. The slightest hint of softness affected some wider shots, but those instances seemed very minor. Mostly the movie came across as tight and well defined. Whereas I thought the prior disc exhibited a few too many examples of jagged edges and moiré effects, those concerns didn’t appear present as heavily here. I still saw a little shimmer at times, but the jaggies decreased, and I also witnessed no signs of edge enhancement. Print flaws stayed similarly unobtrusive. I noticed a speck or two but that was it, as the movie seemed nicely free from defects. As one might expect, Wolves provided a rather natural palette, and the DVD replicated these tones nicely. The colors often seemed to be somewhat subdued within that range, but they always looked accurate and rich. Especially positive were the many sun-dappled sequences, which seemed extremely lush and lovely. Black levels also appeared deep and dense, and shadow detail generally came across as appropriately heavy but not excessively thick. That was another area that seemed improved from the prior release. With that one, I thought that some low-light shots – such as interiors or campfires – could be a little opaque, but the new disc tightens these up well. The improvements of the new Dances With Wolves weren’t enormous, but they seemed significant enough for me to bump my prior grade of “B+” up to an “A-“ for this release. I felt the film’s Dolby Digital 5.1 closely matched that of the previous disc, which was fine with me. The soundfield showed a forward emphasis but it offered a pretty well rounded affair in any case. The front spectrum provided a nicely broad and engaging display. Sounds were placed accurately in the environment, and they moved cleanly and smoothly across channels. The score also featured very good stereo separation. The surrounds mainly reinforced the forward spectrum. John Barry’s score was the prime beneficiary of this, as his music poured nicely from the rears. Some effects also came from the surrounds, though these instances were more limited. Nonetheless, the movie’s louder sequences demonstrated an involving and active presence from all five channels, and they helped bring those scenes to life. Audio quality also appeared to be positive. Dialogue consistently sounded warm and natural, and I discerned no concerns related to intelligibility or edginess. The music showed terrific fidelity. Highs seemed to be clear and bright, while the bass response appeared deep and rich. Barry’s score provided a very fine representation here, as the track made the music even more involving than it might have been. Effects also benefited from excellent dynamics. They came across as clean and realistic, and other than a little distortion that involved gunfire, these elements showed no concerns. Overall, I found the soundtrack of Dances With Wolves to provide a very satisfying and exciting affair. The original DVD of Wolves boasted only one substantial supplement: a pretty interesting commentary from director/actor Kevin Costner and producer Jim Wilson. This Special Edition of Wolves definitely improved upon that situation. I already discussed one added element in the body of my review. The movie includes an extra 55 minutes of footage reintegrated into the film proper. I can never quite decide if I should count “director’s cuts” as bonuses or not, but I thought I’d mention it again nonetheless. In addition, DVD One features two separate audio commentaries. The first comes from director/actor Kevin Costner and producer Jim Wilson, as the two were recorded with each other for their running, screen-specific piece. Not surprisingly, Costner dominates the track as he provides a wealth of excellent information about the film. We learn scads of notes about the reasons for many of his decisions as both an actor and as a director, and he even manages to relate some problems experienced on the set. Costner chimes in with quite a few entertaining and illuminating anecdotes as well, and he proves to be a charming and compelling presence; I just wish someone would tell him that the movie’s not called Dances With Wuffs. As for Wilson, he also provides some good notes throughout the track, and he interacts nicely with Costner, but it’s really Kevin’s show. In any case, I thought this was a fine commentary. Some oddities occur in regard to this track, though. I’ve seen other reviews that claim it’s a new commentary, but it’s not. Most of it comes straight from the effort heard on the prior DVD, and other remarks have been added to that material. Lots of empty spaces still occur, but we get some information about the longer cut of the film. Disappointingly, Costner and Wilson don’t discuss how they decided what to chop in the first place, but their statements help expand our understanding of the film. Be prepared for a somewhat odd listen, though. Not only is the commentary a little old and from different sources, but also it comes with some jarring edits. Periodically the track cuts off the speakers before they finish their thoughts, and on at least a few occasions, it stops them in mid-word! Even with the weird editing, though, the commentary seems good. However, fans of the flick who own the prior DVD will hear a lot of familiar statements. For the second track, we hear from director of photography Dean Semler and editor Neil Travis, both of whom sit together for their running, screen-specific chat. The pair interact nicely and offer a light and chummy discussion of the film. Though one might expect technical considerations to dominate the piece, that isn’t really true. To be sure, we learn a lot about those sorts of issues. Semler offers the most information in that domain, as he presents the topics related to shooting out in the middle of nowhere with a low budget and a neophyte director. Travis occasionally touches upon editing matters, but he usually sticks with material that deals with the creation of the film in a more general way. It’s those kinds of notes that make their commentary enjoyable. We hear lots of “life on the set” details and get a nice overview of the way things worked in South Dakota. As with the first commentary, this one includes a lot of empty spaces. As with the first commentary, these don’t seem terribly problematic due to the length of the movie. The tone also gets a bit puffy at times, but overall, I think this track offers an informative and enjoyable look at the movie. Side two of disc one includes some Easter Eggs. Highlight “Play Movie” from the main menu and you’ll see a little Indian on horseback icon. Click on it and you’ll find a 131-second videotaped glimpse at the film’s shoot. Three more eggs appear in the same domain. Move to the right of the first one to get a three minute and 56 second look at the filming of some stunts that involve arrows. Go right again after that for a 137-second snippet from the shoot with an animatronic buffalo. Finally, head right one more time for a 71-second look at the filming of a death by tomahawk. All the clips are fun to see, but the arrow one’s the best of the bunch. Also on side two, we find a featurette about the making of the film that first appeared at the same time as the movie’s theatrical release. The 20-minute and 55-second program includes movie snippets, footage from the set, and interviews with Costner, Wilson, writer Michael Blake, actors Mary McDonnell, Graham Greene, Doris Leader Charge, Tantoo Cardinal, Rodney A. Grant, Floyd Red Crow Westerman, and stunt coordinator Norman L. Howell. The featurette goes over a number of different topics. It relates the project’s development, Indian backgrounds and perspectives, stunts, effects, makeup and other areas. The program jumps around the different subjects with abandon and doesn’t follow a coherent path. However, it presents a lot of good material. Heck, we even get to see a clip from a very early Coster/Wilson/Blake collaboration called Stacy’s Knights. Despite the randomness of the show’s presentation, it offers one of the better promotional featurettes I’ve seen. Disc One ends with a music video. A rather atrocious affair, this matches glimpses of the film’s creation with John Barry’s music. However, the score gets a synthesizer-heavy makeover and sounds sappy and pathetic. Skip this three minute and 51 second train wreck. On DVD Two, we open with a new 81-minute and 10-second documentary called The Creation of an Epic. Divided into seven parts that can be combined via a “Play All” function, it presents the standard combination of movie clips, footage from the set, and new interviews. We get comments from Costner, producer Wilson, writer Blake, executive producer Jake Eberts, director of photography Dean Semler, costume designer Elsa Zamparelli, production designer Jeffrey Beecroft, stunt coordinator Norman Howell, editor Neil Travis, composer John Barry, and actors McDonnell, Cardinal, and Greene. Epic covers a lot of topics, but the somewhat disjointed presentation seems a little awkward. 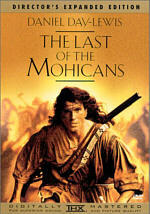 The featurettes go over the start of the project and the collaborations behind it, the decision to use subtitles, shopping it to various studios and issues related to budget, location scouting and working in South Dakota, Costner’s experiences as a neophyte director, the logistics of the buffalo hunt scene and other stunts, visual design, language education, and more. The program relates a lot of good material and usually does so in a reasonably concise and entertaining manner. That said, the level of praise gets a little steep at times, as we often hear how great everyone and everything was. While we learn how tough it was to get the film made, no one mentions all the predictions that the flick would bomb. In addition, unlike a similar multi-featurette format found for the excellent Hannibal DVD, this one includes credits at the end of each segment. That disrupts the flow of the piece and makes it work less well as a general documentary. I don’t really understand why DVD producers choose to use this chopped-up multi-featurette format, as it doesn’t seem to enhance the product at all. Overall, “Epic” provides a good program, but it falls short of greatness. After this we find a photo montage introduced by still photographer Ben Glass. He chats for about 45 seconds before we get a running program of eight minutes, 34 seconds of pictures. John Barry’s score accompanies this nice selection of photos from the shoot. The Poster Gallery includes still frames of four movie promos. Two TV Spots appear along with the flick’s theatrical trailer. 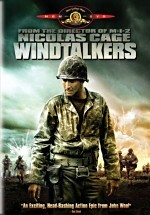 A section called Other Great MGM Releases presents trailers for Platoon and Windtalkers. Another Easter Egg rounds out DVD Two. Move up from “The Creation of an Epic” on the main screen to highlight a horse icon. Click on it and you’ll see a five minute and 19 second “presentation reel” compiled by editor Neil Travis. The editor created this as an early “preview” for the cast and crew during production to see the flick’s progress. Finally, the package includes some minor text components. A foldout flap in the DVD’s slipcase presents a note from Costner and Wilson that explains why they created the extended edition of the film. In addition, the set’s booklet features some brief production notes. With almost an extra hour of footage reintegrated into the film, the extended version of Dances With Wolves seems unlikely to change its critics into supporters. However, the additional material also probably won’t give those of us who don’t much care for the film any new ammunition, as the scenes flow well and blend nicely with the original work. I think the theatrical cut provides the superior experience, but both should please fans. Those partisans should also dig this new DVD, as it functions well on all levels. It presents consistently solid picture and sound along with a very good roster of extras. Both Wolves aficionados who already own a prior DVD incarnation and those with none will want to pick up this fine release.